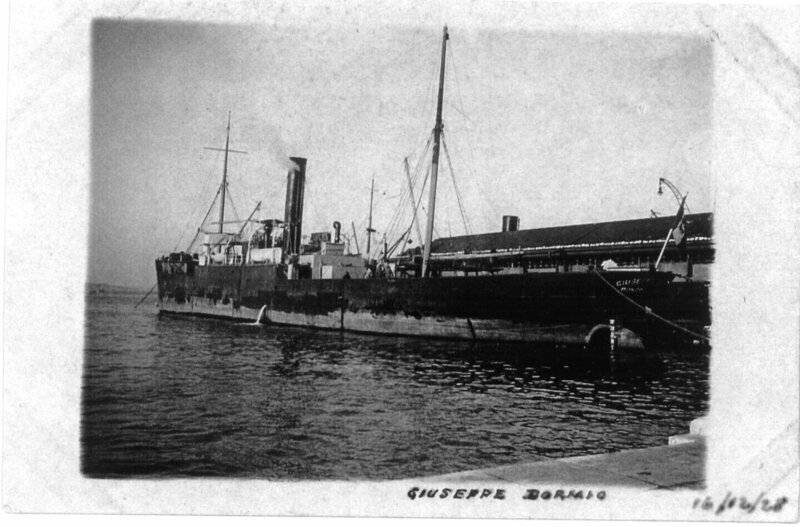 Giuseppe Dormio was build in 1904 as yard no. 133 in Napier & Miller shipyard in Glasgow. First owner was a Russian company FC Zvorono under the name Italia. Ships often change names and owners. Finally in 1928 was sold to an Italian armatore Giuseppe Dormio from Bari. He named the ship after his own. After the Italian surrender in 1943, like many other ships, Dormio became a part of a German Deutsche Mittelmeer Rederei from Hamburg and was in use of German Army. 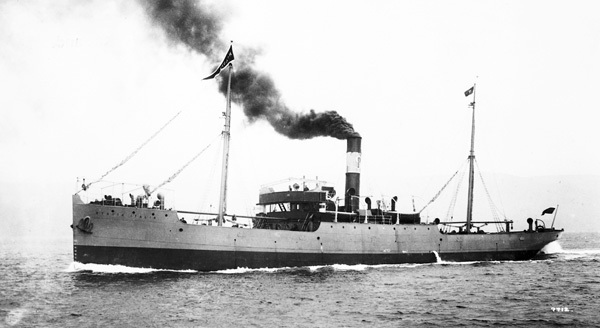 Ship was a classical example of well deck powered with a triple expansion steam engine of 144 HP. 72 meters long and 12 meters wide. Sunken on August 11th 1944 on the way from Pula to Rijeka. Six crew members lost their life’s. Some historical data suggest that Dormio was hit by torpedo from a Brit sub HMS Vivid. Soon turns out that Dormio actually hit an underwater mine just at the entrance of Vela Vrata in Kvarner Chanel. Vela Vrata are a quite narrow passage that leads from open sea to Rijeka harbor. Dormio sunken just few hundreds meters on south of actual ferry line Brestova to Porozina. Because of frequent traffic for long period of time the wreck was undiscovered, unidentified. Firs information’s of possible wreck position we had from local fishermen. Some information’s suggested that there was a sunken airplane from WWII. Firs sonar contact we have on the way back from one dive on SS Lina. Firs dive in June 2006. Oliver was driving a boat and Massimo and I were diving. Bottom is 62 meters below. We drop the line precisely on stern part of the wreck. Once on the bottom there is the first surprise, we hit a stern castle! On all historical photos of the ship we have, there was no stern castle, it was a well deck ship. Visibility on the bottom was god. Average10-15 meters. Wreck is laying strait up with bow turned toward Rijeka. Main deck is 57-58 meters depth. Following right side of the wreck we are continuing toward bow. Most of the bow part of the wreck is covered by nets. Just in front of us a beautiful stern wheel. At some point we turn and start swimming back to stern. Trying to remember as more details possible we arrive on the rounded stern. Descending to see the propeller, one more turn on the main bridge and we start slowly ascending. Once on the surface we are trying to identify the wreck. Most of the detail is combining but the stern castle are little bit confusing us. Few months later we did one more dive. In that occasion visibility was very poor, maybe meter or two and was not possible to identify the wreck. Most of historical data are confirming that this is SS Giuseppe Dormio, but in to many occasions mistake were made for the rush. On next dives we will try to find some material evidence that confirms that this is Dormio. We are looking forward to next diving on Giuseppe Dormio or maybe an unknown wreck.